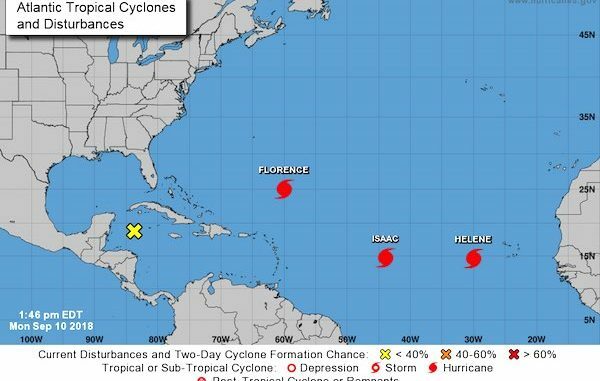 SEBASTIAN – There are three hurricanes and a tropical wave in the Atlantic Ocean, and forecasters predict Hurricane Florence will make landfall later this week. Sebastian and Vero Beach remain clear of any hurricanes at this time, although forecasters are predicting marine advisories for our coast due to Hurricane Florence. Hurricane Florence is now a Category 4 storm moving toward the west near 13 mph. An increase in forward speed is expected during the next couple of days. A turn toward the northwest is forecast to occur late Wednesday night as it approaches the coast of South Carolina and North Carolina on Thursday. 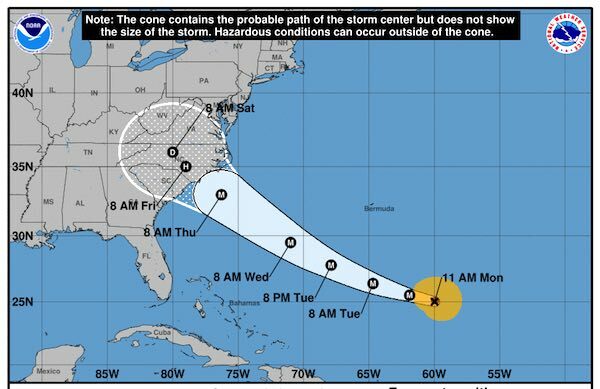 “On the forecast track, the center of Florence will move over the southwestern Atlantic Ocean between Bermuda and the Bahamas Tuesday and Wednesday, and approach the coast of South Carolina or North Carolina on Thursday,” the National Hurricane Center said. Hurricane Isaac continues to move west and is expected to reach the eastern Caribbean Sea by Thursday. Maximum sustained winds are near 75 mph. 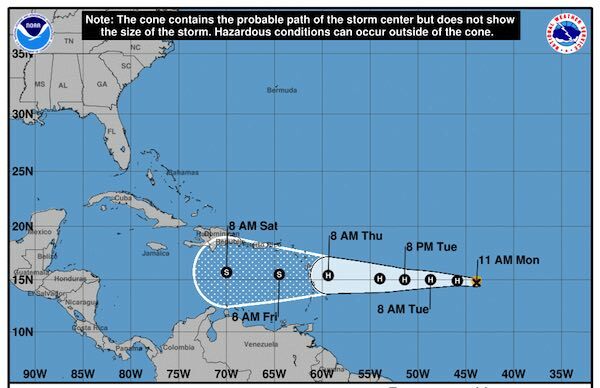 Although some strengthening is expected over the next day or two, forecasters say it will weaken once it approaches the Lesser Antilles. 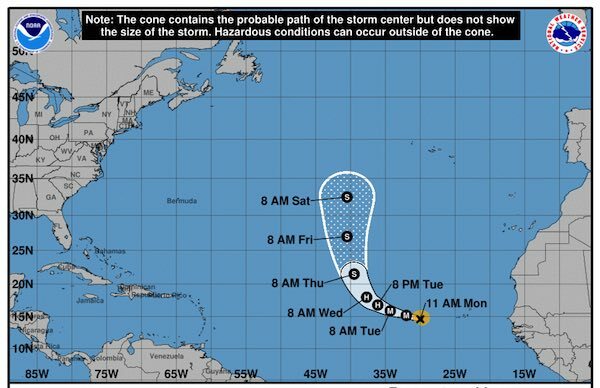 Hurricane Helene is moving toward the west-northwest near 16 mph. The storm is expected to turn towards the north on Wednesday. Maximum sustained winds have increased to 105 mph. Helene is expected to become a major hurricane by Monday night, but forecasters say it will weaken by late Tuesday. It seems Sebastian and Vero Beach have dodged another one, but these storms can change as we’ve seen before. If these storms change direction, they are still far away from our coastline giving us plenty of time to prepare. Right now, there’s no need to panic or worry as there’s nothing from the National Hurricane Center that may suggest Florida being in the path of any of these hurricanes.